It was a brisk Sunday morning in mid-March; I planned to head to Villa Medici to see the Euro Punk exhibit. I packed my umbrella, as it had called for rain that day; nothing was going to stop me from enjoying every single moment of my time in Rome. I was so excited that this exhibit was on display during my time there, as I am a big fan of punk rock; it was fate. 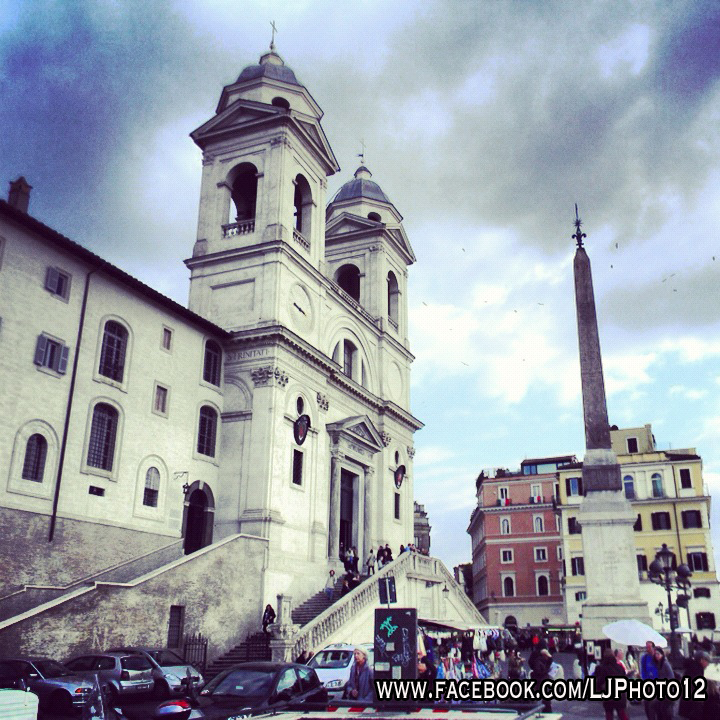 I decided to leave early to visit the Spanish Steps and Piazza del Popolo, since they were in the immediate vicinity. I had finally received my luggage just before heading out, so I grabbed my camera and map; things were finally falling into place just as they should be, just days after arriving in Rome. As I made my way up Via Sistina, I saw the Chiesa Trinita dei Monti, the beautiful church that sits atop the Spanish Steps, in the distance. I wondered what sort of great adventure was in store for me on this day. The piazza was abuzz with artists working diligently on their hand painted scenes of the church and the Spanish Steps; I’m sure it became almost a routine for these artists to paint these lovely scenes for tourists. I walked around, admiring the beautiful artwork, thinking how great it would be to be an artist in Rome. Startling me out of my daydream state, a handsome Italian street vendor presented me with a rose; I brushed him off with a simple “no grazie”, and headed towards the Spanish Steps. I stood at the top of the steps and looked in awe at the beauty, grounding myself in reality. Most people first view the steps from the bottom, here I was at the top – always a rebel! As I descended each level, I stopped to look around, basking in the sunshine attempting to peek through the clouds; I found it so surreal to be on the Spanish Steps. 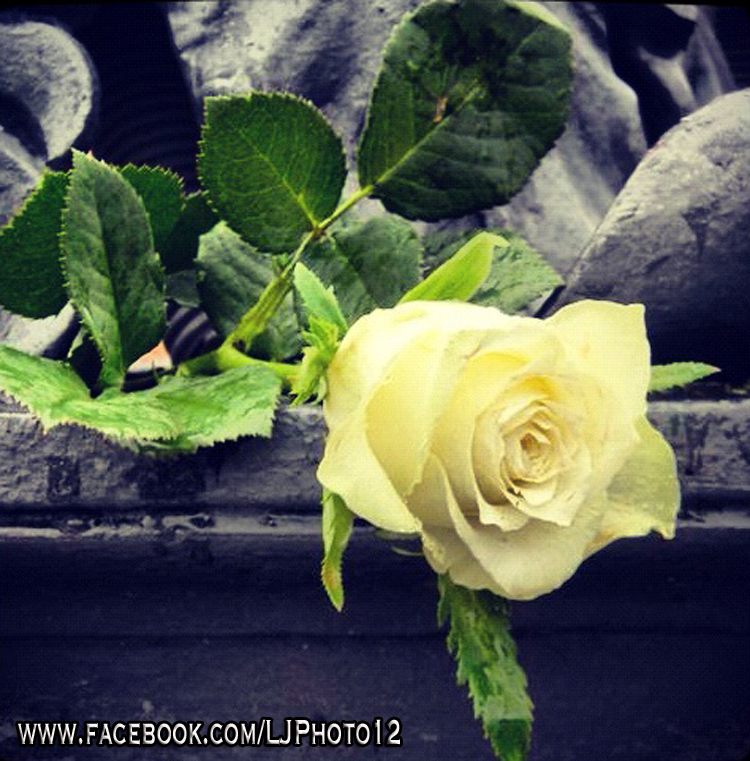 Being of an artistic temperament, I started taking photos of what I like to call “found art” – a random rose sitting at the base of one of the statues on the Spanish Steps– there was a lot of this in Italy. I saw the friendly Italian vendor standing at the top of the steps in the piazza and he waved at me; I offered him a friendly smile, waved back reluctantly and continued my sightseeing. Once at the bottom, I joined tradition with the hosts of others around me and sat down at the bottom part of the Spanish Steps facing Bernini’s Fontana della Barcaccia (“Fountain of the Old Boat”) I started to partake in one of my favorite activities – people watching. I could easily pick out the turisti (tourists) from the native Romans: tourists walked around as if on a mission, maps and travel bags in tow, whereas the natives were arm in arm, enjoying each other’s company, in no particular hurry to be anywhere than right in the moment. I wanted to be as a native on this trip and therefore didn’t rush around to see sight after sight. I took my time and savored each and every moment; another reason being alone on this trip was great. Walking down Via del Corso, I admired the shop windows of designers such as Gucci, Prada, Armani and Louis Vuitton; I made sure to snap photos of these unique window displays. Just a little further down the road, I soon came upon the famed Piazza del Popolo. The ristorantes were filling up fast as church was letting out; it was fantastic to see the Romans dressed up in their Sunday best, almost like a fashion show. With the majority of people gathering for Sunday brunch, it left the piazza a little emptier than it normally would be; I relished in this opportunity to walk around and capture some photos. 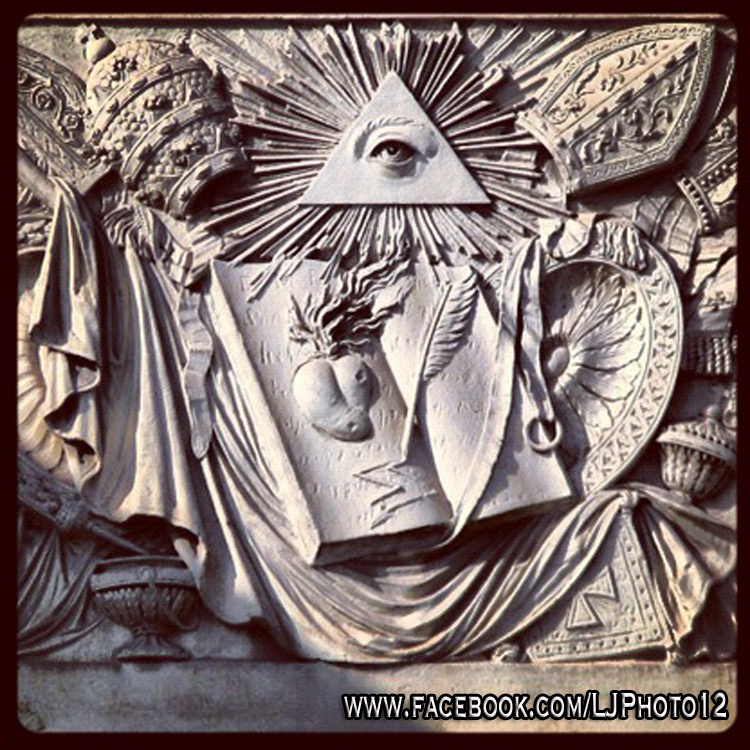 The piazza was filled with ornate statues, fountains, obelisks, and Illuminati symbols; I was an avid reader of books on secret societies and enjoyed the movie Angels and Demons, featuring Tom Hanks. I like to believe that there really is something secretive going on in Rome and the Vatican; it adds to the mystique of the area. I found a quiet spot on a set of stairs that went up from the piazza to a road that leads to the Villa Medici; I quickly pulled out my journal and made a few notes about the sites I had seen. The piazza started to fill up as I made my way up the remaining stairs and started walking toward Villa Medici. The Villa Medici sits atop Pincio Hill; this hill is not considered one of the seven major Roman Hills due to the fact that it sits outside the ancient walls of Rome. Villa Medici is also known as the French Academy in Rome; it is one of many art galleries in Rome. I ventured to the ticket counter and purchased my ticket for the Euro Punk exhibit, and then it was over to the line waiting to go into the exhibit. There was a man a few people in front of me; when he turned around, I saw it was the friendly Italian vendor. He smiled big, held up his ticket and said in English with his thick Italian accent, “You like-a the punk and I like-a the punk! We see punk together, yes?” He didn’t wait for a reply, quickly came over to me and took my arm into his; we walked into the exhibit arm in arm. From the small conversation we had, I found out he was in fact not a vendor, but a resident of Rome; he spoke English so much better than I did Italian. It was nice having someone to converse with; this was actually one of the reasons I opted to not take a group tour, I wanted to immerse myself into the culture and experience meeting native people. Giancarlo was such a kind man; he was not the typical “Italian gigolo” you see in the movies. After seeing the Euro Punk exhibit, he insisted he take me back to the Spanish Steps and give me a proper tour, as this was his favorite area of the city. In the midst of my private guided tour, it started to rain; I was thankful I thought ahead and brought my umbrella. Giancarlo immediately took the umbrella under his control and he urged me to walk next to the buildings so that he could be “properly on street side, as a man should be with a beautiful woman in his company.” He held my hand as we walked down the road, back to my hotel. In all my years, I had never been exposed to such gentlemanly treatment; I felt like I was in a movie. Once we reached my hotel, the rain had subsided; one thing I noticed while I was in Rome is that the rain never lasts long. I was also convinced that this is where the gentleman act would stop and he would ask to come up to my room. I was mistaken. Giancarlo took my hand in his and asked me if it would be ok if he could return to see me around 9pm, so that he might take me to see the Pantheon and to his favorite gelateria. I was taken by surprise, and he could tell. “I hope I did not offend you, sweet bella Laura…” I smiled said it would be great to see him again; he was relieved and promised he would meet me at 9pm. He again took my hand and kissed it sweetly, “Ciao bella!” and I watched as he walked off into the distance. I was all smiles as I made my way back up to my room to find something to wear for the evening and my “date” with Giancarlo. Could it be that there were still real gentlemen left in this world after all?